It has taken a long time for me to write this story. For many months, ever since my sister, Erica, died, I have made half a dozen false starts. More than once, I got several paragraphs down only to lose the file somehow. Something has kept me from staying with the project, even as I felt a need to tell the story. Erica’s passing wasn’t exactly a surprise. She went into hospice in May of 2013. Then, refreshed by visits from friends and family members (including several of our cousins, who flew in from all over the country), her energy returned and she actually went back home for four months. Then she passed suddenly in September, and I discovered that I was completely unprepared for the event I had been given four months to adjust to. Naturally, there were plenty of long faces when I arrived in Odessa, Florida, followed shortly by Mom, Auntie Sarah and Uncle Noel. The incoming family members created a lodging problem. The Johnson house was already full, since Paul’s mother was there as well as some of Paul’s Coast Guard comrades. Before I even had time to think about the lodging situation, I learned that Adam and Antonia McCutcheon had opened their home for us. 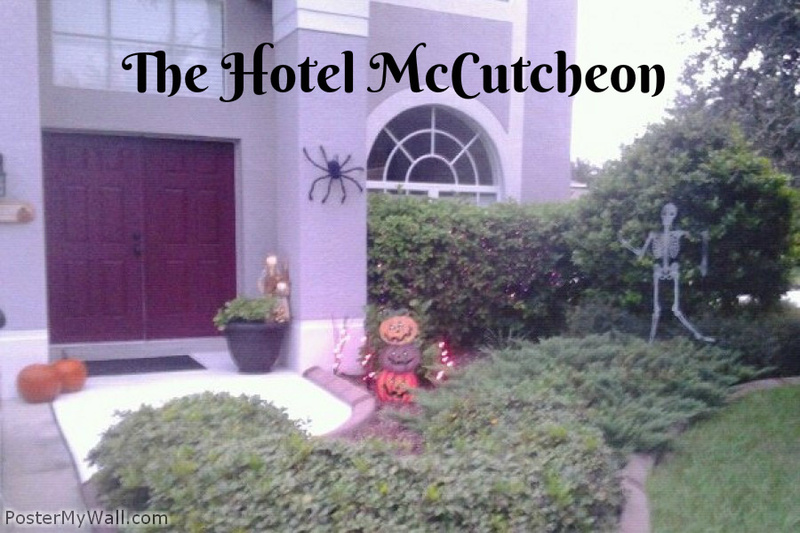 The McCutcheons live directly across the street from Paul and Erica, or they did until recently, when Paul packed a U-Haul for a temporary transfer to Vancouver, Washington. Antonia befriended Erica shortly after Paul was transferred to Clearwater and the family moved into the Odessa house in the fall of 2011. Then, in early 2012, my niece, Lauryn, was found to have a congenital vascular growth on her brain. She experienced headaches for 11 straight days before a CAT scan found the mass. As Lauryn underwent brain surgery, Antonia supplied almost daily ministrations. By the time Lauryn got a clean bill of health, Erica had a new best friend. Antonia turned out to be a healer. Several people in my family have speculated that her arrival was a matter of divine provision, timed as it was with the onset of calamity in the Johnson house. 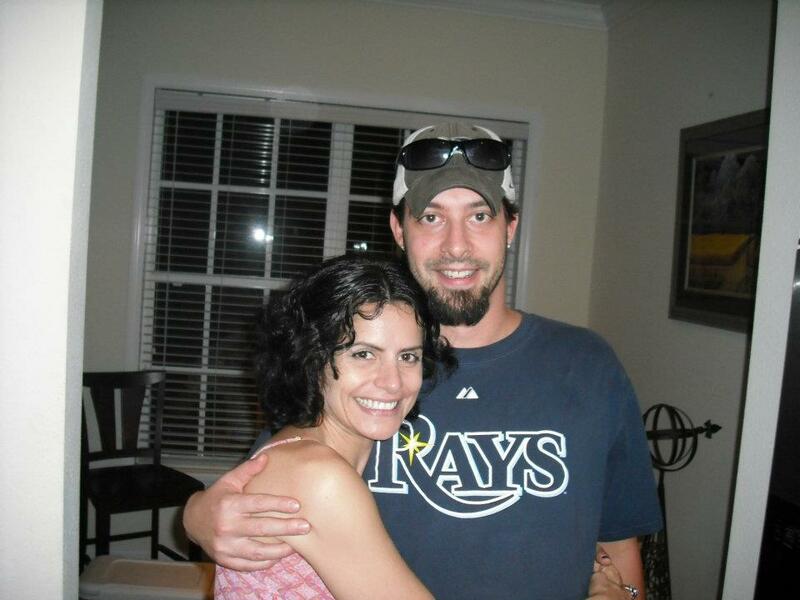 Right on the heels of Lauryn’s ordeal, Erica’s breast cancer came back. This time, it was Stage 4 — in her liver. I met Antonia and Adam when Erica went into hospice. They put Mom and me up that time, too. They did it almost sight unseen; they had never met me and had met my mother only briefly. Now they were putting us up again, unasked. This time there were four of us invading their domicile, including my aunt and uncle, Noel and Sarah Willems — two more strangers. Sometime during this stay, we dubbed their house the Hotel McCutcheon. Most people who show hospitality tell their guests to make themselves at home, but few people possess the grace to help their guests relax completely. The reason, I suppose, is that most people are unable to help showing a bit of discomfort about having extra people underfoot. Particularly sensitive guests (I am one) are able to sense the most minuscule reluctance no matter how carefully a host conceals it. If there is a book of mortal sins in the Greek culture, there has to be a listing for failing to ensure that your guests are full. Neither Antonia nor Adam will be punished for this in the next life. In fact, the second morning after our arrival, Adam set out a breakfast that will probably guarantee him a prominent position in the Greek pantheon (and he’s not even Greek). The meal had to be placed on a separate table and included scrambled eggs, bacon, home fries, pancakes, pastries, juice, milk and coffee. The coffee was a fresh-ground gourmet variety ― such a rich brew that even the bubbles were brown. When they weren’t working or doing class assignments (both of them are in degree programs at the University of South Florida), our hosts found ways to include us in their home life. One memorable evening, we were invited to join them for a movie in their home theater. We were delighted to find that it was much like a small theater, with an overhead projector, a huge screen, speakers in the ceiling and a velvet curtain to shut out ambient light. There was a small popcorn maker in the corner and framed pictures on the walls with movie-theater messages. Enjoy the Show! one of them read. We did. I remember the title ― Argo, a flawless dramatization of the Iran hostage crisis of 1979. Throughout the film and the ensuing conversation, I inwardly coveted the theater, mentally updating the specs on my dream house. In a world full of socially inept, self-centered people, Adam and Antonia are a throwback to another time. Adam has a quiet intelligence and a sharp sense of humor, but you may not see them until he gets to know you a little bit. After that, he is fun and engaging. Antonia is bubbly and warm, with the uncanny ability to put everyone in her environment at ease. Her enthusiasm for people is like a vortex. You can’t help but enjoy yourself around her. Antonia is a rare breed who treasures both people and animals. The McCutcheon house essentially doubles as an animal shelter. During the time we were there, the house teemed with animals — three adult cats, an aging beagle and a kitten named Pi, who had just arrived at the house and was still skittish around us. Each morning when I got up and went downstairs, the noticeably well-fed grey cat (Vinny) would unabashedly ask to be fed. Each time, I answered out loud, “I don’t even know where your food is. I’m just a house guest,” at which point he would swivel one ear and continue looking at me. It is telling that my memories of staying at the Hotel McCutcheon are good ones in spite of the occasion for my being there. As I look back, I see that, even as I was burying my sister, I was beginning to heal from the loss. I credit this to the hospitality and friendship Adam and Antonia extended to us, all the more meaningful because as Erica’s friends they were experiencing loss as well. We shared the camaraderie of grief and of life’s ongoing blessings, of which friendship is the best. I like to think Erica was watching us ― and smiling. 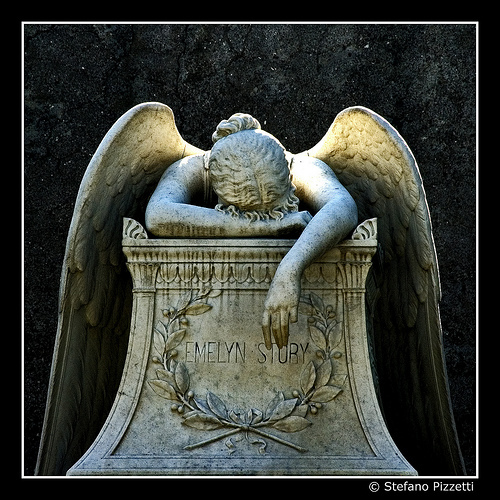 This entry was posted in Kindness and tagged bereavement, camaraderie, death, fellowship, food, friendship, fun, generosity, grace, Grief, hospice, hospitality, hotel, kindness, lodging, loss, mourning, passing, wake. Bookmark the permalink. What a wonderful post; what a wonderful gift to receive at the time of loss. I wish I were more like them: the warmth and sensitivity you fill this post with is so inspiring. It makes me just want to send them a hug! Some people just get what life’s about don’t they. I have to tell you that your analysis of Greek hospitality is on the nose. My mother, if she feels she has not sufficiently overstuffed you at mealtime, will hand you wrapped leftovers as you leave and practically follow you every step to your car until you take them! My Dad passed away ten years ago, followed by his Uncle the next year and my grandmother (Yaya) the next, and my mother is now on dialysis 3 days a week, but still independent. It is so hard to let go of those we love, as you well know. But I have to think that as we arrive at the Pearly Gates, there will be an assortment of food — from Moussaka to Tiropetas to Baklava — waiting as soon as you walk through the doors. Perhaps a little Greek music and a shout of “Opa” as well. Thank you for this story, my friend. It warmed me in many ways, and I needed that. God bless! Thank you, Mary Ann. I’m so happy you enjoyed it. I didn’t realize you were Greek. I have had the privilege of knowing and working with many Greeks, and it has been quite an experience. I have found them to be passionate and generous people. You know what? I can totally get into the idea of a Greek feast on the other side of the pearly gates!